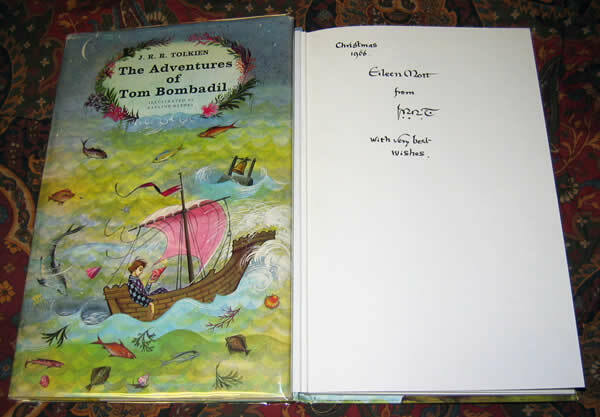 The Adventures of Tom Bombadil, Signed By the Author J.R.R. 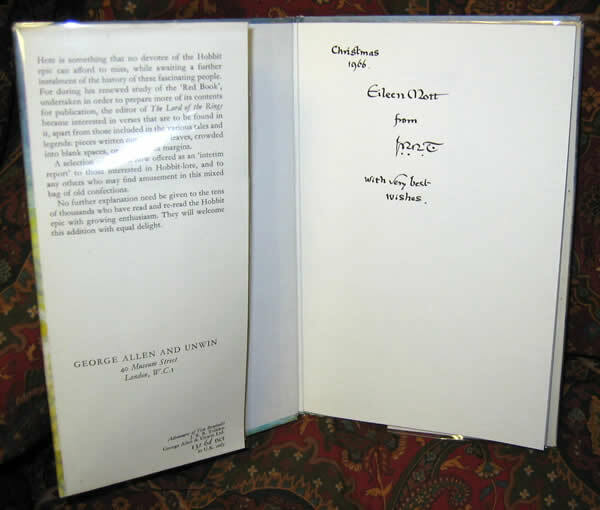 Tolkien - $3,500.00 The true 1st Deluxe Edition of the 3 volumes of the Lord of the Rings, comprised of "The Fellowship of the Ring", "The Two Towers", and "The Return of the King"
This copy is inscribed by the Author, "Christmas 1966. 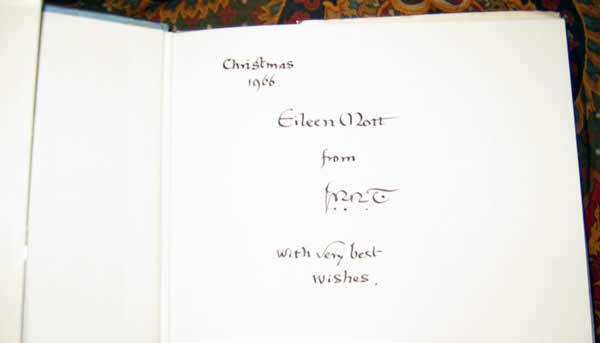 Eileen Mott from JRR T. with very best wishes. ", to the front free endpaper. 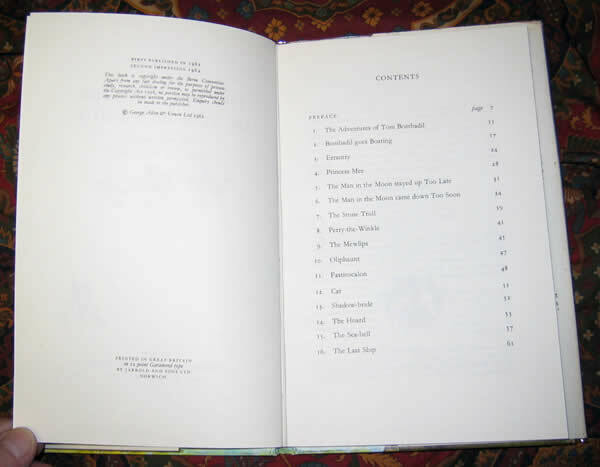 This is the 2nd impression of the 1st Edition, published in 1962 by George Allen & Unwin. No foxing, pages clean and bright. 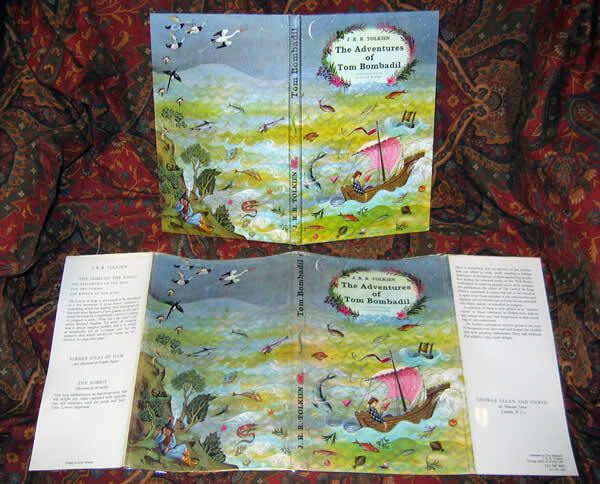 Pictorial Cover and matching dustjacket, as issued, are in Very Good Plus/Near Fine condition. Minor bumps and slight color loss to the dustjackets spine tips, and a couple of corners showing some wrinkling to the dustjacket as well. 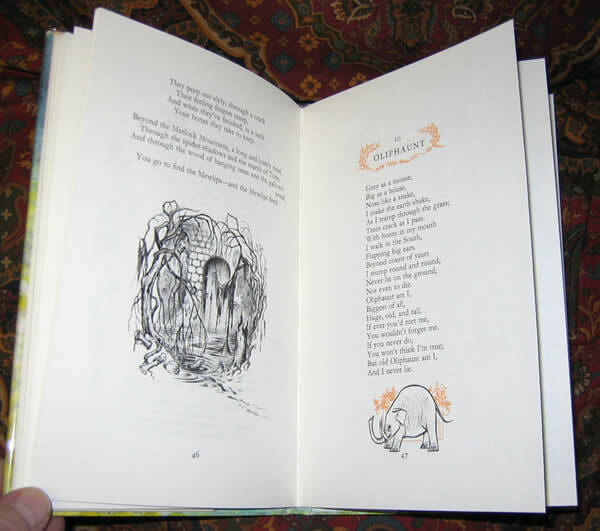 No tears or loss, not faded or soiled, with nice clean bright colors to the Pauline Baynes illustrations. No other names or writing to the book. 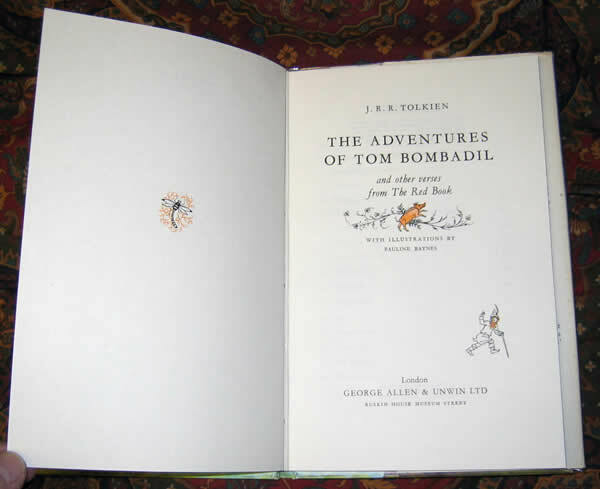 An excellent example of Tolkien's flourished writing style, with the well know 3 dots under his initials, and a larger singular dot inside the final initial T. A fabulous copy for the collector, very scarce with inscription and signature by Tolkien.